Our super FCCE team are on a mission to collect toiletries and bathroom essentials, to support a local Cheltenham based charity with our Hamper Appeal. Caring for Communities and People (CCP), work tirelessly to support vulnerable, young homeless people. CCP’s supported accommodation provides a range of integrated housing, and support services for vulnerable young people aged 16-25 years. As venue experts we know the importance of having access to quality bathroom essentials when business events take us away from home. Having access to home-comforts and the opportunity to pamper ourselves, is not only one of life’s little luxuries, it’s also essential to our health & wellbeing. The impulse to look our best is instinctive. Often this basic need is lost when people find themselves homeless. The importance of cleanliness and looking and feeling our best, has important physiological and psychological benefits. And so this is why we have launched the “PAMPER HAMPER APPEAL” and are busy collecting as many toiletries as we can from family, friends, colleagues, clients, suppliers and our partners. 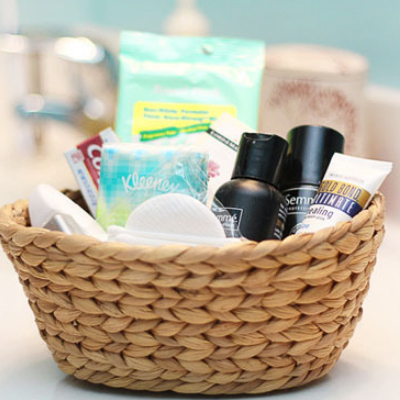 If you would like to join us and donate some toiletries and bathroom essentials, for our next delivery of “Pamper Hampers”, please contact Cheryl our Director of Sales on cheryl@firstchoice-ce.co.uk – Help us help improve the quality of life for homeless young people living in supported accommodation. Thank You. Click this link to learn more about CCP’s Foyer Supported Accommodation project.